When you are working to create great copy for your brand, you may need a little support to ensure that the copy is grammatically correct, reads easily, and conveys the topic perfectly. That is where editorial services come in. "Editorial services are broken down into four different types and each can help ensure that you are publishing the best quality content that engages readers, expresses your brand, and keeps people coming back for more (Huffington Post)." Developmental editing focuses on the structural technicalities of your writing. Developmental editing looks at the organisation of your content, sequencing, and point of view. Developmental editing is very helpful when you have a lot to say but aren’t quite sure how to say it so people really understand it. It will also help ensure that your content has a nice flow, rhythm, and tone that matches the topic of the content and your brand identity. It’s a great idea to hire a development editor in the early stages of producing content. Line editing is what people traditionally think of when they think of editing. Line editing focuses on things like spelling, grammar, and punctuation. Line editors are great for when you’ve finished up your content to ensure that you don’t make any silly mistakes when publishing. Grammatical errors can be surprisingly damaging to the authority of your content, so before publishing anything for the public, it is recommended that you hire a line editor to scan your content and fix any awkward errors. Proofreading works a lot like line editing but with a broader scope. Proofreading looks at all the grammatical errors but also addresses the consistency of your work. A good proofreader will make sure that you have tonal consistency, structural consistency, and grammatical consistency. 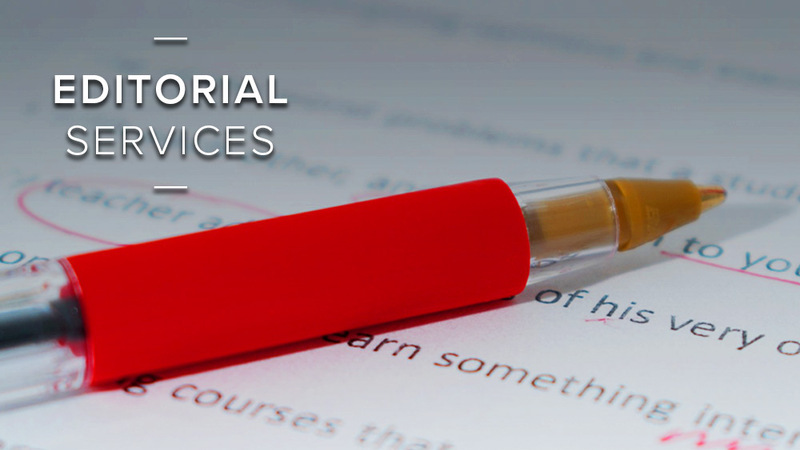 Proofreaders put the finishing touches on your content to make sure it is perfect. Another editorial service is called assessment. Assessment is a really great service if you are finding you have writer’s block, or need a little help revising and deciding what to focus on. At an assessment, an editor will read through of your content and make some suggestions on how to improve your content. The broad range of editorial services available can help you at every stage of content production from ideation to publishing. So if you are looking to ensure that you publish the highest quality content that best represents your brand, consider hiring an editor. At ALHAUS, we offer all four types of editorial services, as well as a variety of content management support that can help ensure that you produce the highest quality content. If you’d like to learn more about how editorial services can help you, give us a call and we’d be happy to answer any questions you have! Editing vs writing - similar or separate skill sets?